Vaccinations and immunizations are an important aspect of public health in the United States and other parts of the world. Because of these medical advancements a variety of diseases and illnesses have decreased greatly, and in some situations have even been eliminated from various populations. Conversely, some people have experienced adverse reactions following a vaccine or immunization. I most cases these adverse effects are mild such as nausea or pain at the injection site. In some extremely rare instances these agents have possibly been the cause of serious side effects and conditions. As a result of these occurrences, some people regard vaccines as dangerous which has lead to controversy concerning whether children should receive certain immunizations or not. Medical science and research works constantly to assess whether these adverse reactions are directly caused by the vaccinations themselves or are a coincidence of specific events and stages of development. The National Childhood Vaccine Injury Act of 1986 provides no-fault compensation for those who may have been injured as a result of vaccinations and was passed as a means of addressing public concerns. This same Act also requires the Institute of Medicine (IOM) to review research and evidence regarding negative effects of vaccines through clinical research, epidemiological studies, case reports, and testimonials. One such vaccine in which adverse reactions are monitored is the measles vaccine which shall be discussed in detail below. The vaccine for measles was first made available in 1963 and has been improved since with reported cases in the United States dropping to less than 200 a year since 1997. Because of this, the disease is no longer concerned endemic in the United States. Since 2005 a measles-mumps-rubella-varicella combination vaccine has been available that is also highly effective. While once a very common infection, incidence of measles since the introduction of this vaccine has fallen to less than one percent of people under the age of 30 in countries that implement routine childhood vaccinations. A common side effect of this vaccine is a fever, occurring in approximately 5 to 15 percent of patients. Typically those who develop a fever following vaccination are asymptomatic; however, transient rashes have been reported in a small amount of cases. Because this vaccination includes a possible fever-inducing agent some children in very rare instances may have a febrile seizure following this vaccination. These type of seizures following vaccination do not of their own accord increase the probability of subsequent epilepsy or other neurological disorders. Typically, convulsions following a measles vaccination are simple febrile seizures, affecting children without known risk factors. However, an increased risk of these convulsions may occur among children with a prior history of convulsions, as well as those with a history of convulsions in first-degree family members such as siblings or parents. The CDC reports that risks such of these remain low. Those who feel they or a loved one has suffered adverse effects resulting from a measles vaccine are encouraged to contact an experienced medical malpractice attorney. Such an attorney can review their client’s claim and determine whether it is valid or not. 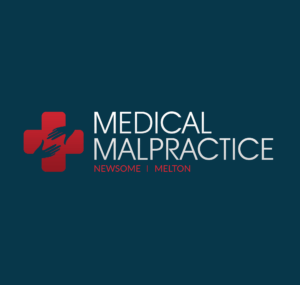 A knowledgeable medical malpractice attorney will also be able to assist their clients with obtaining proper documentation such as records and expert testimonials.